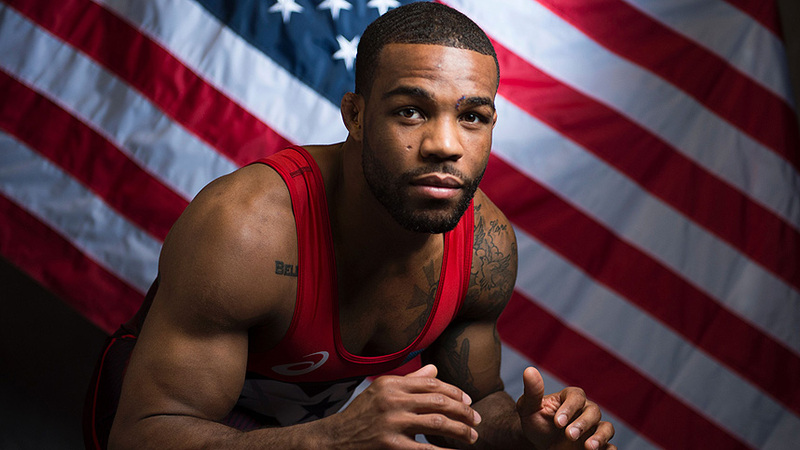 Will Jordan Burroughs see gold once again at this year? The wrestler, who took home the gold medal in the men's freestyle 74 kg at the London Olympics in 2012, is giving a sneak peek into how he is preparing to represent Team USA at the Games this year in Rio de Janeiro. In a clip from NBC, Burroughs' parents Janice and Leroy hold up the wrestler's first-ever participation trophy that he earned at the young age of 6. The two laugh at their son's small prize, but his mother notes Jordan's initial enthusiasm for the sport. "He was proud, even though it was a 10th-place trophy," she says. "He just knew what hard work would do." For more of PEOPLE's Olympic coverage, pick up our collector's edition, The Best of the Games, on sale now. Along with his incredibly supportive parents, Burroughs has a family of his own with wife Lauren Burroughs and son Beacon. The athlete's son wanders in and out of the wrestling room as he pleases, which is just the way that the Burroughs likes it. "He doesn't really understand what he's watching," the wrestler says. "He just sees dad throwing guys around, shooting double legs, but at some point he'll understand work ethic and effort." To learn more about all the Team USA Olympians, visit teamusa.org. The Rio Olympics begin August 5 and will air on NBC.